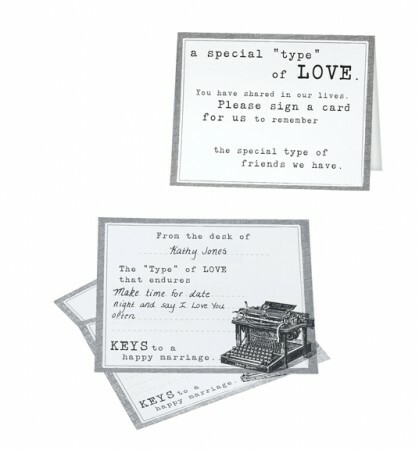 Typewriter guest cards are fun way for guests to share memories, advice and wishes for the new couple. Each set contains 48 cards; cards measure 5.5" x 4.25". Unique Alternative Guest Book.